This is a tapelift from a school that had had a fire a year before. 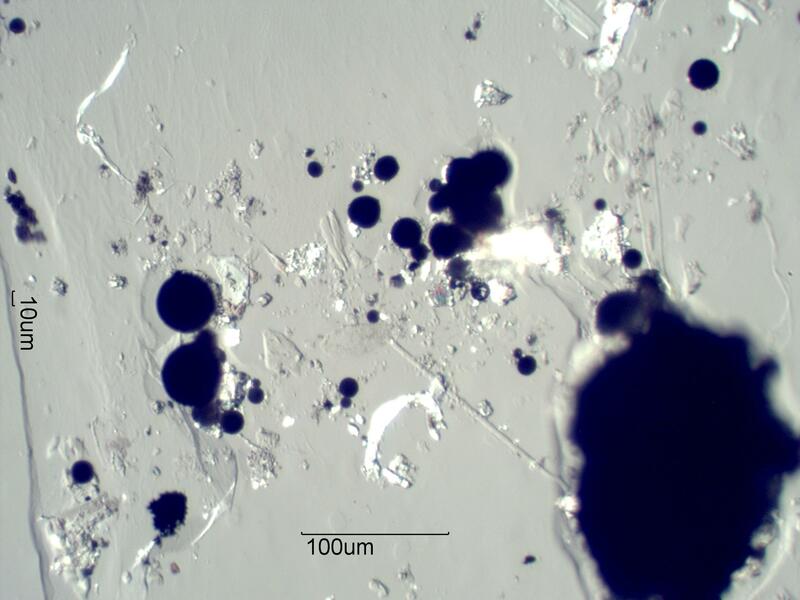 "Black" particles seen under a microscope with transmitted light were being interpreted as "soot" and it was suggested that the ventilation system be replaced. Much of the fire damage had been remediated, which included painting. With reflected light most of the black particles could be identified as paint spheres. Crutcher, E.R., "Particles and the forensic assessment of equipment condition, TechCon Asia-Pacific, TJH|2b Conference Proceedings, 2004.